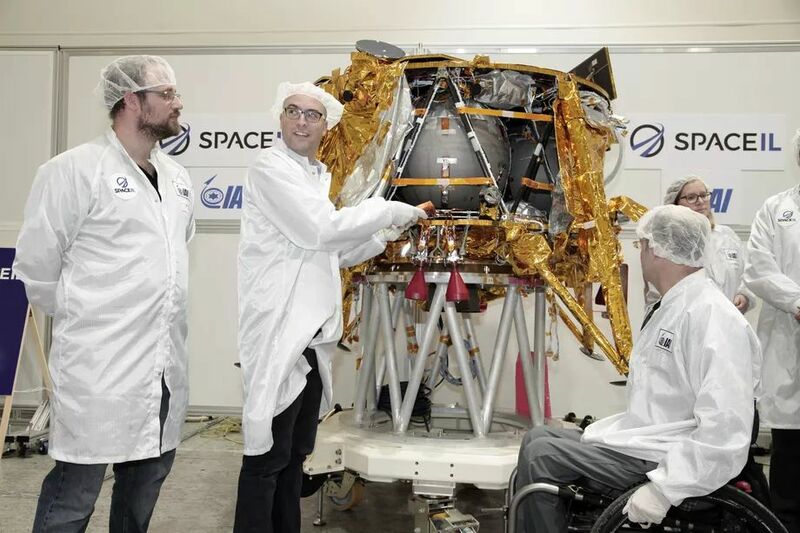 Beresheet, the privately-funded SpaceI-IAE moon project successfully completed all its assigned maneuvers but failed to touch down on the moon. During its six-week voyage, the mooncraft broke out of earth’s orbit to circle the moon in ever decreasing elliptical cycles, reducing speed until it was minutes away from landing on the moon on Thursday night, April 11. The lander had been operating autonomously according to instructions fed into its computer in advance. Then, suddenly, while orbiting the moon at 6,000km/h, shortly before making its schedule autonomous descent, the main engine developed a fault and contact was lost with the control room at Israeli Aerospace Industries. Instead of making a soft landing, Beresheet went into free fall 25km above the surface and 800km from the landing site. The project, which if successful, would have made Israel the fourth country to land a spacecraft on the moon after the US, Russia and China, took eight years of preparation and an investment of $100m in private funds and donations. Israel will have to settle for being the seventh country in the world to attempt a moon landing and try again. Why the need to prove Israel is the “equal” of the technological superpowers ?! Sent it near the supposed landing area of APOLLO 11 and with a rover (with double-stereo TV-color cameras)… a lot of people in the entire world would be willing to pay in order to watch by themselves and know the truth (an alternative truth or the old one). A MORON like you would say the video is fake. Get on a ship and take video and GPS of the edge of the Flat Earth. LOL! The video is not fake, there is data and pictures from the Mossad’s robotic Moon-vehicle confirming it. The 800km offset in landing was intended, the purpose being echo-detection by the shock waves, just in case some Moon-Palestinians are hiding in deep caves under the surface. Der Guardian: Zionists Bomb the Moon! Indigenous Lunar Palestinian children, journalists and medics injured and killed in unprovoked Zionist attack! Hamas saboteurs have done it ..
Was it hacked by the Ruskies, or the Chinese? Go Israel!….. to the moon, and beyond! It was the American who sent the failed mission to the moon? not Israel. It is about getting experience and expertise, which can be used in other spheres including military one. israel has no resources to dig out and sell, Israel has no large market for home grown consumer goods industries, Israel has no choice but to be technological superpower to earn her living, beyond that we are strongly disliked but tolerated only because we make some things much better than goim, and deemed useful for them. It was curious how SpaceIL interview with BBC was repeatedly interrupted ad broken into yesterday am – fingerprints of the hacking nation? Ja ja ja.. Los goim americanos, rusos y chinos lo hicieron mejor! I am proud of God of Israel. It’s a shame, I was hoping they’d find a new Palestinian homeland while they were up there. Pal-e-SWINE is on the Dark Side of the Moon. No worries – Israel is already the technological leader of the world. And we all know that one day Israel/Zion will be the governmental Head of the Nations, with the entire world looking to Zion for leadership. Lesson one for the world: how to use drones on children flying kites. Lol, you’re so naive you must be one of the “children”! Nobody holds a candle to the squatter-snipers when it comes to attacking medics, either. Leadership for the world, indeed. Sad, but no big deal. How many failures had the Russians, the USA and China before succeeding? I believe that the main engine failed as the craft was descending from lunar orbit, not prior to the descent phase as the article states. Welcome to the sixties. Attempting to do something that was done more than 50 years ago and failing miserably. Correction: The US and Iran sent monkeys in space. Ruskies sent dogs mostly. Monkeys are more intelligent and trustworthy than a Pal-e-SWINIAN or their fellow Syrians/Jordanians/Iraqis/Turks. You have to understand how this page works. First, Mossad tosses out their garbage citing unnamed sources with bad intelligence. Then the antisemitic brigade of arrogant, ignorant losers comes out to talk about how big and strong the squatters are because they won a war in which they attacked their benefactor more than 50 years ago. They’re racist, because they’re jealous. No, its better to send kofim, they are smarter. Elon failed too, but kept going. This is how progress is done. good that Israel will be part of it. Disappointing yes. But, it still shows, while the Arabs are working on their balloon technology to burn agriculture, the Jews are making drones to fly to the moon. Nothing better shows the great disparity between man and savages. Exactly right, the difference between men and savages is striking. The comments should revolve around the lunar mission and not politics. As a Jew, I am disgusted by the mean-spirited racism and denigration of Palestinians and Arabs that are so prevalent in the comments. Come on guys, be proud of what was accomplished. Israel managed to make and send a robotic payload all the way to the moon and it even hit at the right spot. Loss of one critical event, after completing several thousand other complex calculations, remote corrections and timing sequences, and it simply impacted too hard. Give the team a break, they made it 240,000 on target! Wonderful accomplishment, you should be proud of Israel. This is all very sad. The big bad Persians will laugh at us. Probably Putin, too. To quell my sorrow, I’ll retreat with solemnity. A piggie shall enter me tonight, as mom and dad advised.